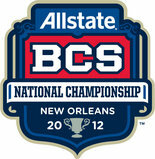 A great ticket offer to see Alabama and LSU in the Superdome for the national championship! NOTE: Prices below are valid as of December 24. Prices subject to change on a daily basis. Check UANYC.com daily to view current prices. Prices are per ticket and based on endzone seating in singles or pairs. Ticket delivery date is the day of the game. Contact Corey Gibbs directly to order your seats at (205) 394-4663 or corey@ticketsolutions.com. Not a UANYC member? Click here to join and get access to this great offer.